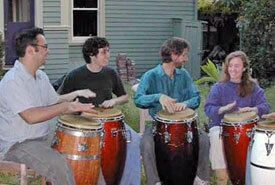 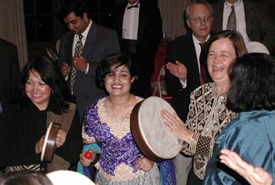 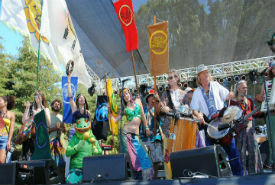 Music, dancing and song are the magical ingredients used in gatherings and celebrations throughout the world. 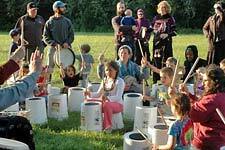 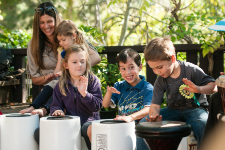 Rhythm-based games and activities elicit playfulness and connect us to one another, creating a memorable experience of shared joy and excitement. 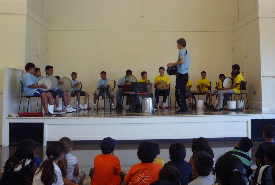 As a music teacher, facilitator and performer, Mika Scott has been sharing his dedication and passion for drumming and community around the Bay Area for many years.